The material is a printed stretch cloth with flower motive, it looks freshly and joyfully. All inner seams of bodice are hidden, there is lining of the same motive. Enjoy nice contact and look during wearing of the dress. 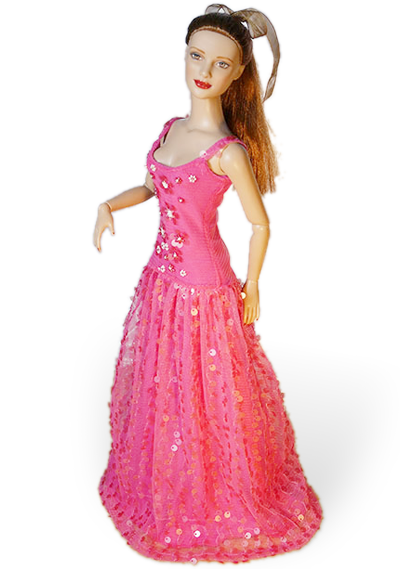 The line of dress is an exact fit for 16" Tonner doll such as Tyler Wentworth, Esme, Charlotte, Angelina, Jac, Jane etc., Antoinette/Cami too. 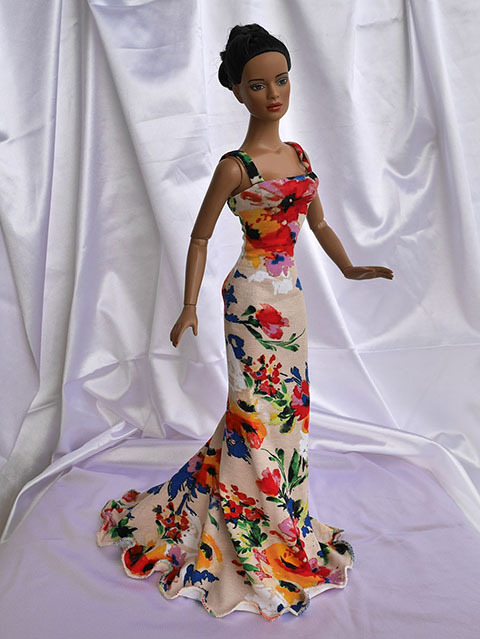 It is also suitable for similar 16" dolls (as Fashion Royalty, Urban Vita).